Orlando stood looking down at the earth below him. 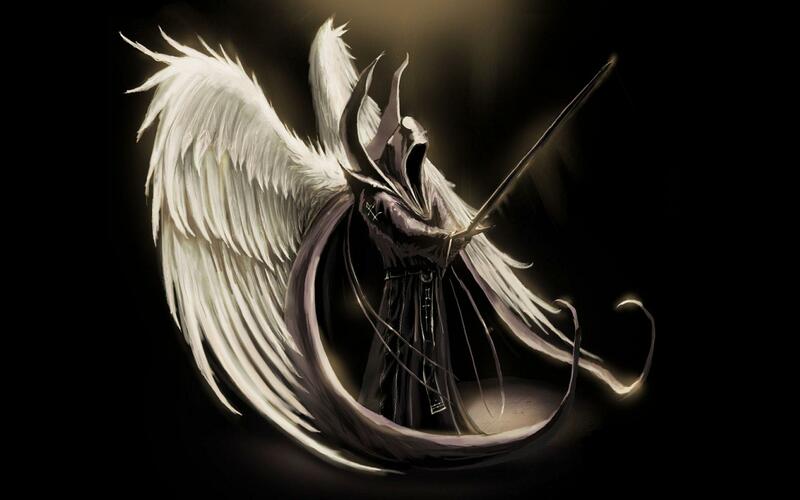 It was debated whether he was an avenging angel still or whether he had become a vengeful God. He did not care what name he was defined by his purpose was the same to destroy anything that took Her attention away from him. He remember the days before she was broken, he was one of a few immortals who knew her true name, he was the only one who still called her by it, he knew that it was one of the few things that could still illicit a response from her. In hindsight destroying her mortal lover had been an error he should have been patient, waited for him to die naturally, after all their lives were so fleeting compared to the eternity his kind endured. But jealously had led him to lash out and instead of turning to him in grief she had turned away nursing her anger and pain deep within. He could never admit he had failed, that he would never win her affections. He was convinced if she had never walked amongst the weak pathetic creatures below she would have been his, the fact that since time began she had spurned his advances lost in his own convictions. He too walked amongst the humans, cloaked in a body that drove the females crazed with desire he would assume a position of power, bathing in the lust that accompanied the wealth. His visits to the flesh never lasted long the human body was not designed to contain mortal fires and it would always end in death or madness, not that he cared what fate awaited those foolish enough to fall at his feet. He felt the passions welling inside, maybe a brief immersion in the human world again would quell the flame that burnt for her. He looked round at the others going about their normal business, they all avoided the edge of the plane where she sat gazing down below. A thought flitted through his mind that maybe this time while he was there he would find a way to bring her back to life, to intrigue her into taking an interest, ignite the fire deep in her soul. He could handle her anger, he would enjoy taking her through battle but the silence she maintained was unbearable. Something must be done. I stood staring evil in the face. Those slitted eyes, the lank hair which looked like it needed a wash ( it did) and the sardonic smile on the mouth which obviously knew things I didn’t. Dressed mainly in black, contrasting with the white hair of the heavy beard he moved as did I.
Bugger, the mirror shows I should have put on a grey blazer today.